During the hack the Agro-Know team developed a module for OMEKA platform that allows the ingestion of environmental learning resources to the OMEKA repository and use of these resources in the generation of online educational pathways. To this end the team used the Solr-based search API of the Organic.Edunet SCAM system provided by MetaSolutions that allow search of resources in Organic.Edunet learning federation. 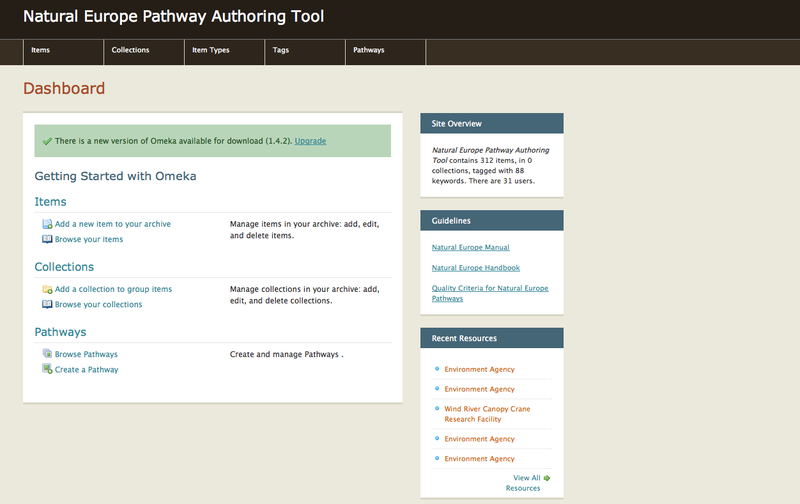 The demonstrated use case was a) to search for environmental learning resources in Organic.Edunet federation suitable for the development of educational pathways on the topic of sustainability & resource conservation, b) to annotate the ingested learning resources using the Natural Europe metadata Application Profile (AP) andc) to add these resources as supporting material in an environmental educational pathway. The demo installation and the outcome of this session can be found here http://education.natural-europe.eu/green/admin/users/login (user: greendemo, pwd: greendemo).